Hamby Home(in)stead ...: Bigger is better?! 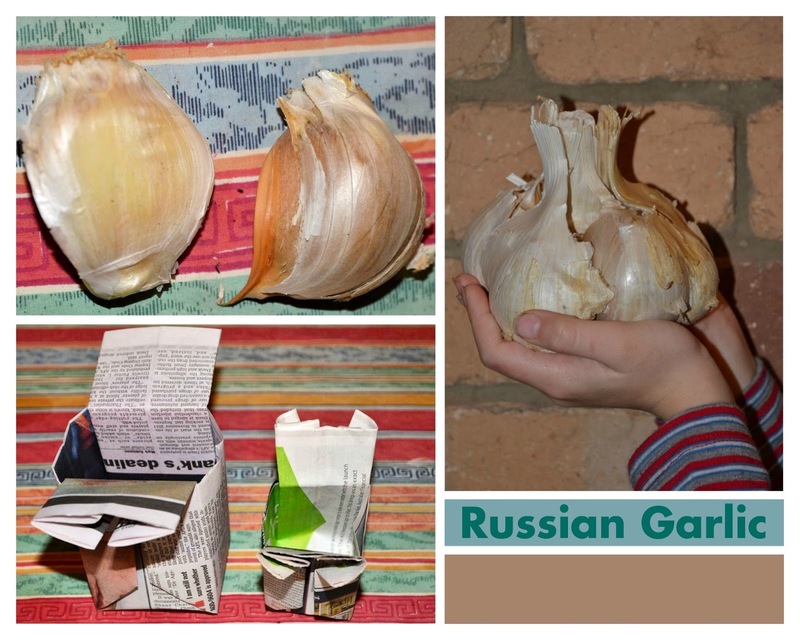 As you can imagine we were super-impressed by the gigantic "Russian Garlic" at a recent farmers' market. We had to have one - and true to form, Vaughan selected the biggest available to bring home! I've used some of the cloves since but wanted to try growing a couple. The two pictured are smaller - that is only about 4-5cm wide and 6-7cm long! I told you they were impressive! So far all my pots have been made using a half-sheet of newspaper. That size didn't give the garlic much room and I pondered what else I could use. It took a while for inspiration to hit. I was a bit frustrated with myself for not seeing the obvious solution earlier. By folding a full newspaper sheet, I made a pot that was sized just right. (Goldilocks would be pleased)!